Mona, the Museum of Old and New Art, is Australia's largest privately owned gallery and museum. Showcasing the diverse collection of its owner, Tasmanian gambler David Walsh, the collection ranges from ancient Egyptian funerary to modernist masterpieces and international contemporary art. 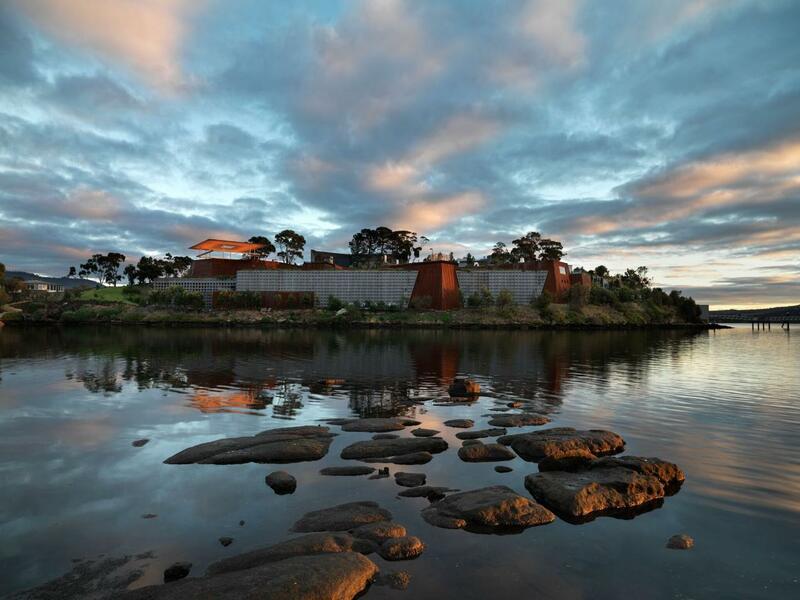 Since opening in 2011, visitors have been drawn to Mona's picturesque site on the banks of the River Derwent, which also features luxury accommodation, a restaurant, vineyard and winery - amongst other things. Begin your day by taking Mona's MR-1 Fast Ferry from Hobart's Brooke St Pier to Mona at 9:am. You'll be travelling in style in the ferry's super exclusive Posh Pit, with complimentary Moorilla wine, Moo Brew and delicious snacks. Upon arrival you will enter to the museum. You can then begin your self-guided exploration of Mona's permanent collection and an array of blockbuster exhibitions. Only a short walk away, at 11:30am, Moorilla's wine ambassador will take you on a private behind-the-scenes tour of the winery and vineyard. You'll taste the wine as it is being made, following the trail of grapes as they are handpicked, crushed, pressed, fermented and matured. You'll also get all the goss about Moorilla from David Walsh and Claudio Alcorso, who planted Morilla's first vines. Tour includes a tailoerd tasting of Moorilla'sPraxis and Muse Series in the fancy underground Barrel Room. You'll also receive a complimentary bottle of Moorilla's most celebrated wine, the Muse Pinot noir to take home. 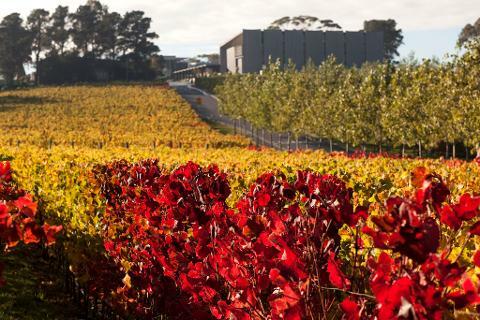 You will then settle in to enjoy a two course lunch at The Source Restaurant, with matched wines from Moorilla's benchmark Cloth Label and Muse Series. Lunch also comes with stunning views of the Moorilla vineyard, Mount Wellington and the River. Dessert is served at the void in a tiffin with a cocktail to accompany the dessert. This is a full-day tour, departing Hobart's Brooke Street Pier at 9:30am and returning at approximately 5:00pm. 8 hour experience. This itinerary can be taken all year round, however seasonal considerations may apply and availability will need to be confirmed at time of enquiry. If a cancellation is made more than 30 days prior to Tour departure the cancellation fee is 25% of the Tour price. If a cancellation is made more than 14 days but less than 30 days prior to Tour departure the cancellation fee is 50% of the Tour price. If a cancellation is made less than 14 days prior to Tour departure, or for a non-appearance to commence the Tour, the cancellation fee is 100% of the Tour price. No refunds are payable for 'change of mind'. No refunds are payable to the Client for any changes to the Tour requested by the Client after departure, the Client's failure to appear for the Tour or any component part of the Tour, the Client leaving the Tour after its commencement, the Client being excluded from the Tour or any component part of the Tour in accordance with this Agreement.